President Donald Trump said his decision to withdraw the US from the Paris Climate Agreement was justified. 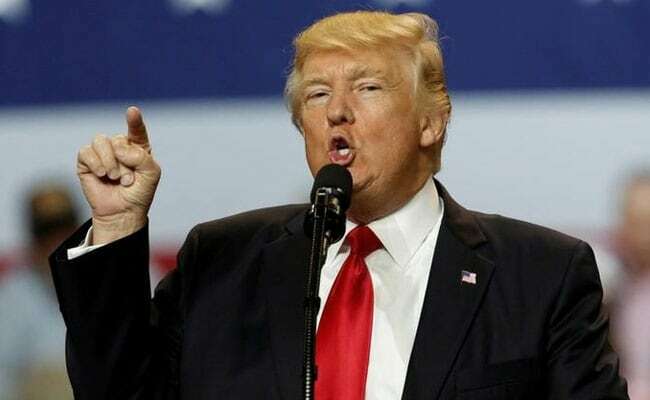 Washington: America will continue to lead the world on environmental protection but would not be dictated by others on this issue, President Donald Trump has said as he justified his decision to withdraw from the landmark Paris climate deal. "From now on, we will follow a very simple rule: Every day I am president, we are going to make America first, not somebody else, not some other country. We are going to make America first," Trump said. "America will continue to lead the world on environmental protection. We're going to have clean water, crystal clean. We're going to have clean air. But what we won't do is let other countries take advantage of the United States anymore, and dictate what we are doing and dictate our future," he said in his address at the Faith and Freedom Coalitions Road to Majority Conference here. No federal worker, he said, should be censoring sermons or targeting pastors. "As long as I'm president, no one is going to stop you from practicing your faith or from preaching what is in your heart, and from preaching - and really this is so important, from the bottom of my heart, from preaching from the people that you most want to hear and that you so respect, so we have taken a very, very strong position, and you picked a winner," Trump said. "We want our pastors thinking out. We want their voices in our public discourse, and we want our children to know the blessings of god. School should not be a place that drive out faith and religion. But that should welcome faith and religion with wide, open, beautiful arms," he said. Trump said last month he travelled to Saudi Arabia to speak to the leaders of more than 50 Muslim and Arab countries and to rally them in the common fight against terrorism, which is a menace to people of all religions. There can be no coexistence with this violence, he said. "I told these leaders that they must drive out this enemy from the face of the earth. Every child of god, no matter where they live, what language they speak or what book they live by, deserves to be able to grow up in harmony, dignity and peace," he said. Trump wants to stay engaged on climate change and has not abandoned the issue, Secretary of State Rex Tillerson had said. European leaders and green groups had also reacted with anger and dismay after Trump announced that the US, the world's second biggest carbon emitter, was quitting the 2015 Paris Agreement. But they also pledged to defend the agreement and not to backtrack in the fight against climate change.